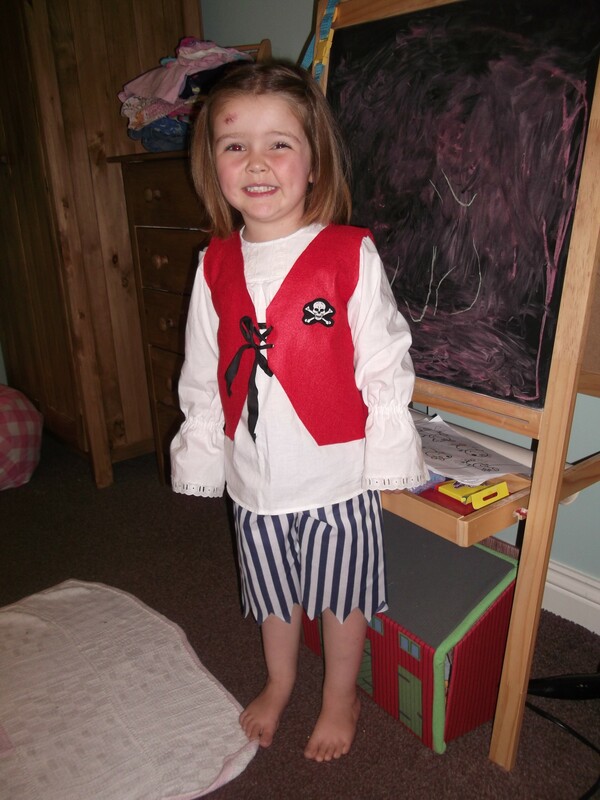 Completed Project: A pirate costume for the Tweedie children! My daughter got invited to a ‘Pirates and Princesses’ party in early September, and we decided that she should dress up as a pirate rather than as a princess, because pirates are way cooler, and I didn’t want to go along with the gender stereotyping that she must go as a princess because she is a girl. 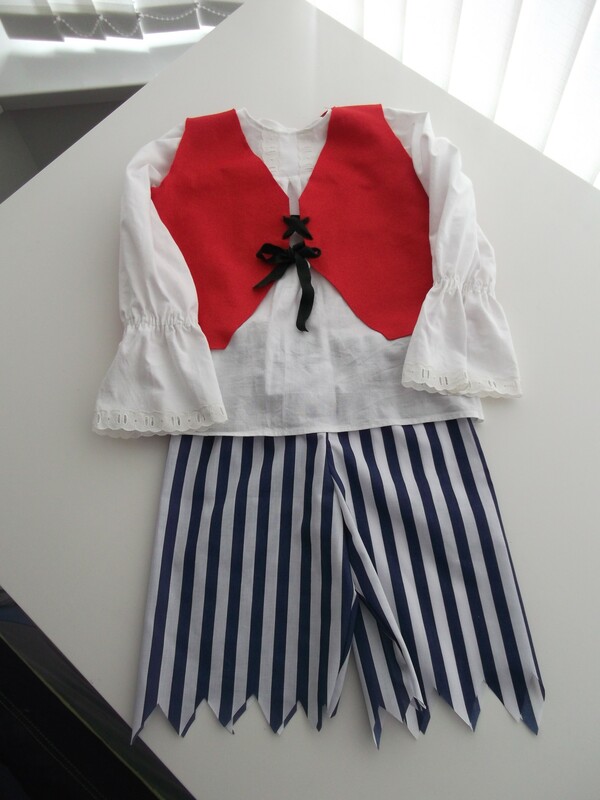 After watching a few episodes of ‘Swashbuckle’ and looking at pictures of pirate costumes online, I formulated a design for her costume: stripy trousers with zig-zag hem, white shirt with frilly cuffs, and a red felt waistcoat with black lacing. This party was to be held at an indoor soft play centre, so I knew it would be pointless to make a hat, a bandana, an eye patch or a cutlass – all of these things would fall off, get lost or get in the way. I feel like I really cheated to make this costume, because I used the pyjama pattern I’ve used a few times before for both the shirt and trousers! 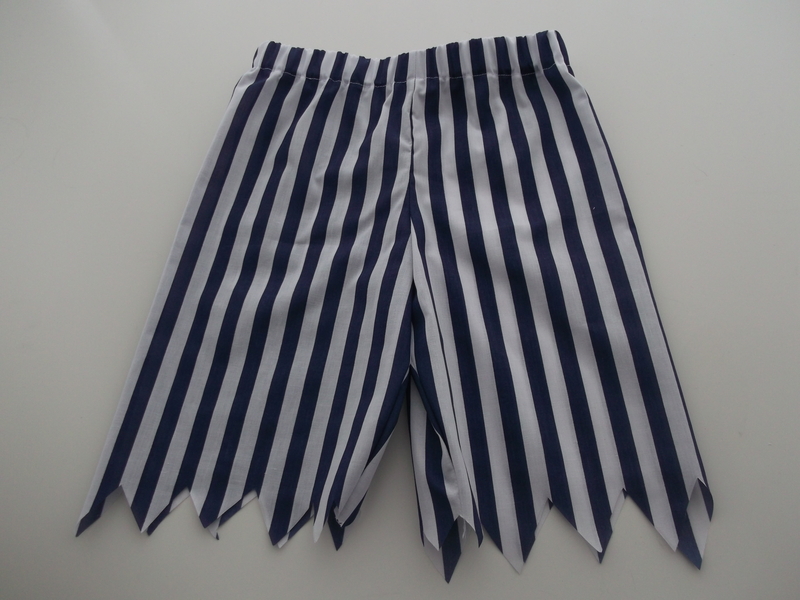 The only modification I made to the trousers was to chop them shorter in a zig-zag line. I didn’t bother to hem them! The shirt was the part of the costume that took the longest, but it was SO worth it. 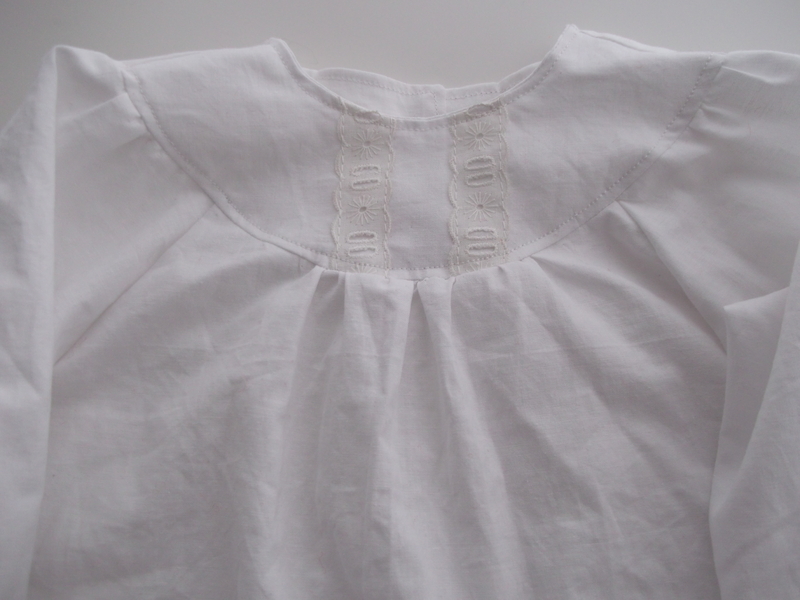 I modified the cuffs to make the frill start higher up the arm and to make it longer, and I added on some Broderie Anglaise trim that I found amongst my Gran’s sewing stuff. Pirates love a bit of frilliness, after all! 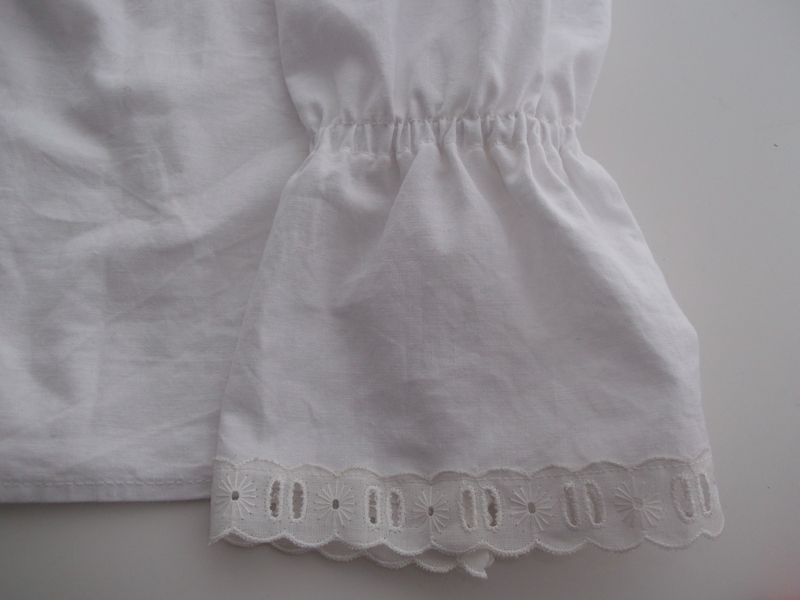 Modified cuff – longer and frillier! 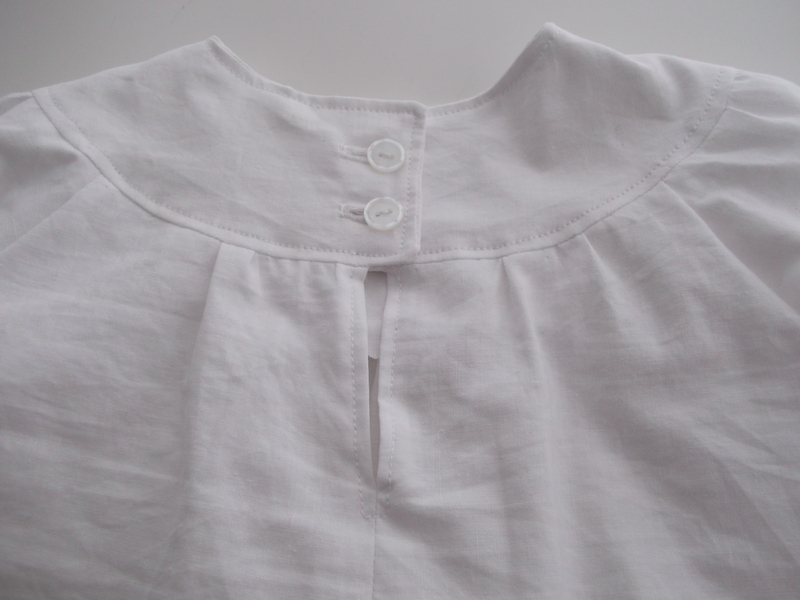 The waistcoat was basically self drafted, and done with a distinct lack of precision. But it’s only a costume, after all! 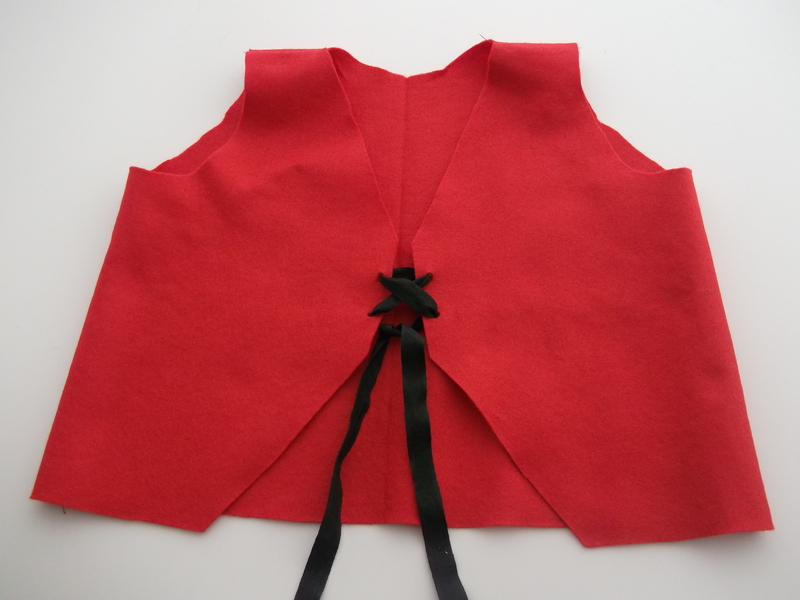 I chose red felted wool because I wouldn’t have to finish the raw edges, and after a hurried, failed attempts to hammer in some eyelets, I just punched holes in for the lacing! As an afterthought I added a skull and crossbones applique patch, which I think was the finishing touch. That’s awesome! She looks like she’s having a blast! My younger brother dressed up as Snow White for a while, and wore dresses in general, but that was just because he wanted to be like his sister (me!). I’m quite happy my parents never told him he couldn’t wear his dresses, and other people never really made him feel like it was wrong. 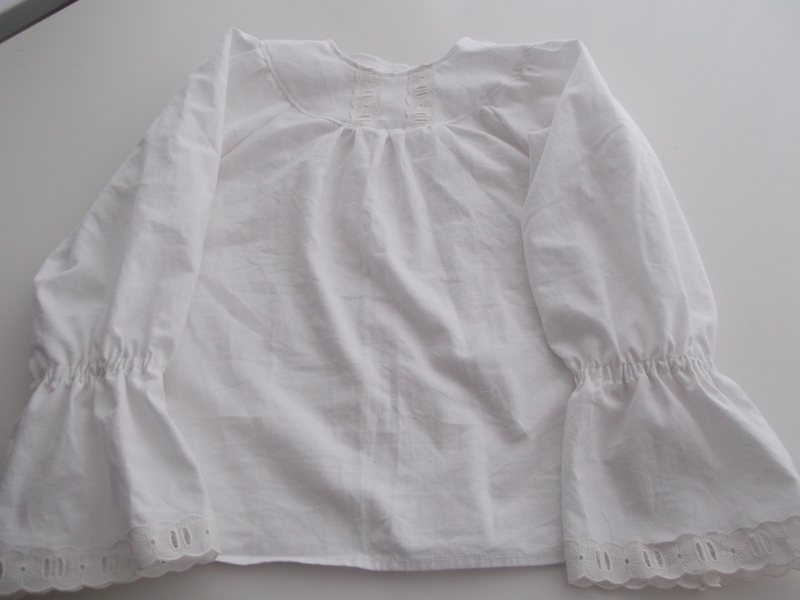 I used to have this beautiful Pierrot costume my grandmother made for my father when he was young. It was the real deal, silk and everything! Aaaw. I will of course let Baba Tweedie dress up as a princess if that’s what he wants to do! But he’s not quite at that stage yet! The costume your Grandmother made for your Father sounds impressive! So sweet! 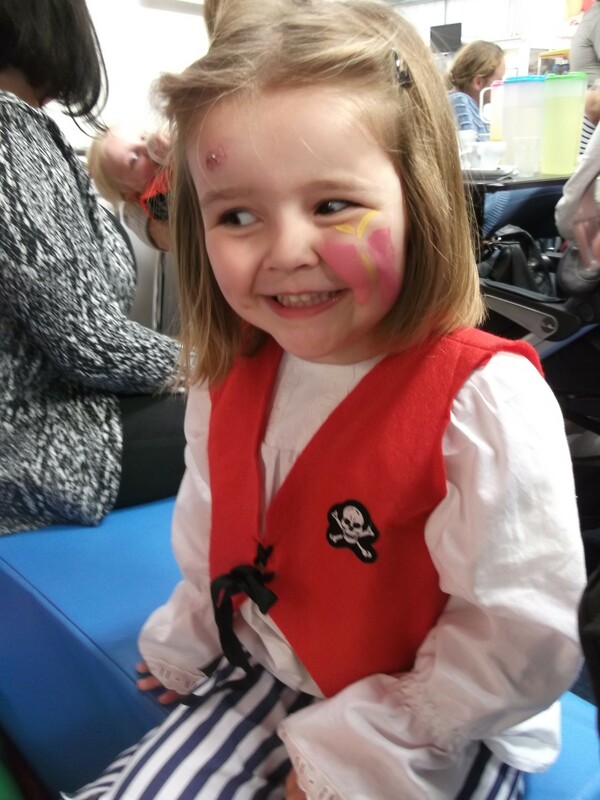 I hope Little Tweedie enjoyed being the best dressed pirate at the party. She did! She even had an authentic scar on her forehead, whereas other kids were getting them painted on! Aw, she looks so happy in her costume. You’re a lovely mum.